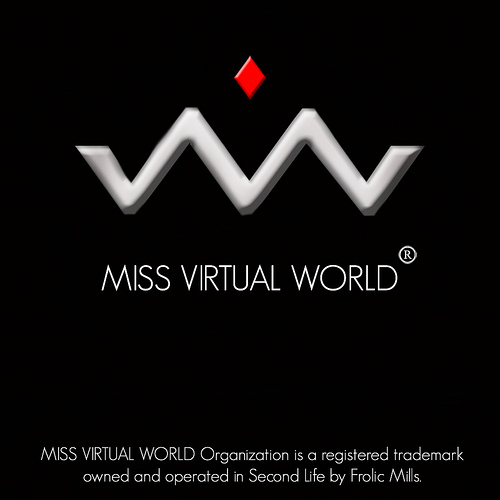 Miss CoC 2012 crowned Miss Virtual World 2013 !!! I think my avi is perfect for this kind of contest. My avi represents a wild ebony woman, ethnic and exotic. I like to bring these features to my outfits and stylings. I feel very comfortable with this kind of avi. MCOC must be elegant, singular, bold and racial (racial means the touch of the skin into the soul, the proud to be yourself). Friendly, cooperative and of course, charitable. And most importantly, must be UNIQUE. It is a hard way to be a model in SL. Fashion Bussines is currently full of desingners, models, photographers… the offer is big so to highlight you must be competitive and of course, have something special that sets you apart from the rest. Before, my skin was white, but decided to take a radical change and tried to do something different to feel comfortable, and so I decided to be ebony. As an ebony woman in SL I consider a fundamental role is to help people, but specially help women of different ethnic groups who want to access to this fashion world. A big step fot this is for example, see more ebony women in vendors, magazines, even an ebony MVW! that would be great! In my blog I will track the competition from the point of view of fashion. I will review all my stylings and I will encourage people to know more about this contests. Of course in my groups of fashion I can put advices about the blog and the contest too. Also in my blog there will be an advertising of the event, the logo. If I win, I will try to attend every event perfect, and I will have an irreproachable conduct. I will encourage each racial model to participate without hesitation. From my flickr I’ll post as MCOC and use my tag to walk in SL. I will put in my profile information about the competition all the year. I will help those people and organizations who need me whenever I can, especially for charity events, and of course, I will help the next event of COC to make it special. If I go to MVW I will represent this contest the best I can, of course. I would like people see me as a good person, a good model, responsible and serious. Maybe they would think I have good qualities as a stylist and I could make a great role in MVW. The truth is I would like them to see me as I am. If I don’t win, my answer is the same. Goals and ambitions…to be MCOC? of course ;D! and to be MVW someday… who knows… but right now my goals are to keep working hard, fighting to be “someone” each day, someone who make her dreams come true step by step. Ambition must always be proportional to the work… Is much better to run and see you crossing the goal than to dream of crossing it without having run. ✼ Graduated in L’Atelier Academy – with AnnaG Pfeffer as my trainer-. I always welcome a challenge that pushes me out of my comfort zone and progresses me as a model. I also want to represent models of color who are proud to embrace their heritage and not afraid to express themselves. I see this as a step towards my goal of educating others about my culture and encouraging other ebony models to aim high for their dreams. This is not just about a title for me. 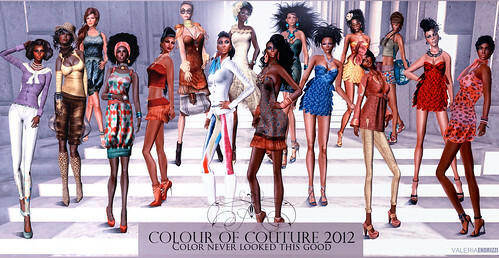 This is about showing that ebony models are a beautiful and intelligent asset to SL fashion and celebrating that fact every day. While it is of course important to be courteous and professional, I think there is a trait many overlook: strength. Whoever wins the title will need the resilience and fortitude to withstand criticism with grace and eloquence. She should possess the ability to stand out in a crowd proudly embracing her heritage. She needs to be fearless enough to tackle the challenges women of color face on a daily basis and be willing to educate others about her culture. She should also be a respected member of the SL community that will be a role model who inspires others to do great things for great causes. 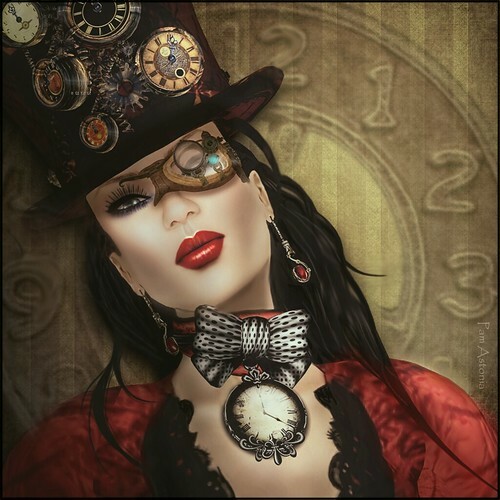 I love the creativity I have seen in SL fashion and that there are no limits to what can be made or worn. Fashion is a celebration of wearable art with a great deal of diversity in styles. 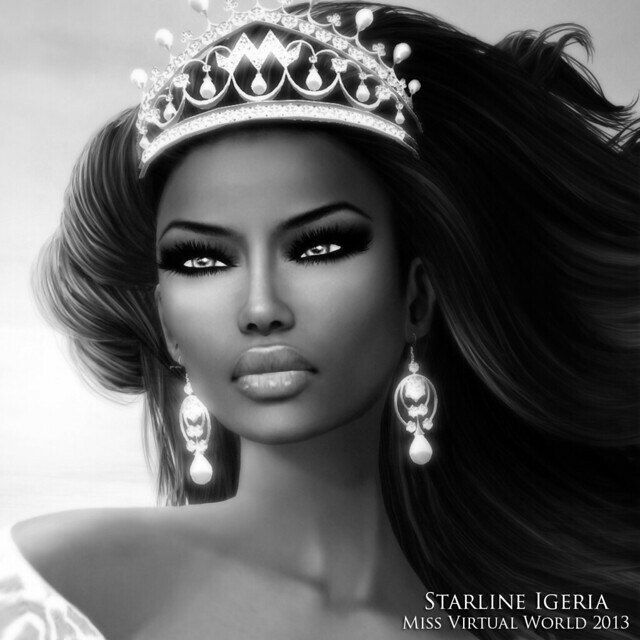 As a woman of color in SL fashion, I have always considered my role to be a professional model who is an inspirational figurehead to new models looking to enter this world. 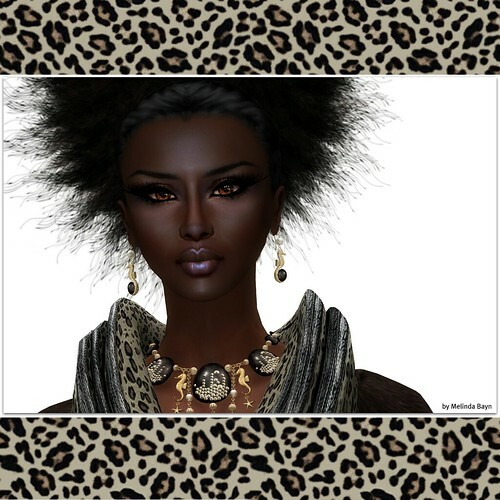 I am always seeking opportunities to show how versatile, intelligent and gorgeous ebony models are through my blog, my Flickr and of course all of my modeling work inworld. This has always been my mission from day one of my model career. As a finalist, I will definitely keep my Flickr and blog updated with my styles from the challenges. I’ll inform my groups and friends of my activities throughout the competition, even if they tire of me bugging them. Should I be so fortunate to win Miss CoC, I will continue the same work I have been doing, but I’ll progress towards more behind the scenes jobs for a more proactive role in my mission to ensure that models of color are not being overlooked for work and treated as equally as their non-ebony counterparts. As Miss CoC I will be a respectable role model who inspires other ebony models to excel way beyond expectations. If I win the title, I hope people think of me as worthy of carrying the responsibility this role has. I hope they see a woman who has persevered through many trials and worked hard to get such a title. Of course I’d also hope that people would celebrate the title with me as a victory for all models of color, not just myself. If I don’t win, I hope they will still see me as gracious individual who put her very all into everything she did. I want them to still support me as a model of color, regardless if I have a title or not and think of me as a valuable asset to the SL fashion community. I envision myself in more fashion shows as a highly sought after model. If time permits me, I may even take on greater roles such as runway coordinator or perhaps even go into teaching. 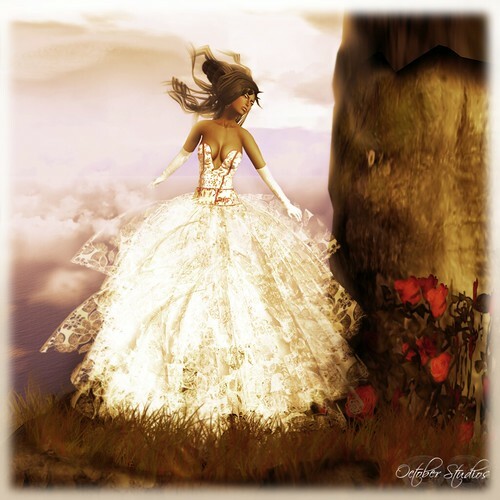 Life is of course unpredictable so no matter what I hope to be doing what I love most in SL. As far as goals go, I’d like to get more involved in charity work and join a few more agencies. I would also love to become the face of a well-known SL brand so I can not only promote ebony models but also broaden the horizons of what is considered beauty in SL fashion. Two years ago I started off as a store model for Evie’s Closet but only became more serious about modeling last year. In the course of one year I have managed to join several agencies and attend two modeling schools. My career highlights include becoming a finalist for Finesmith Muse 2012, Finesmith Style That, Miss Essence of Ebony 2012, and Opium’s I Am Fierce Competition. 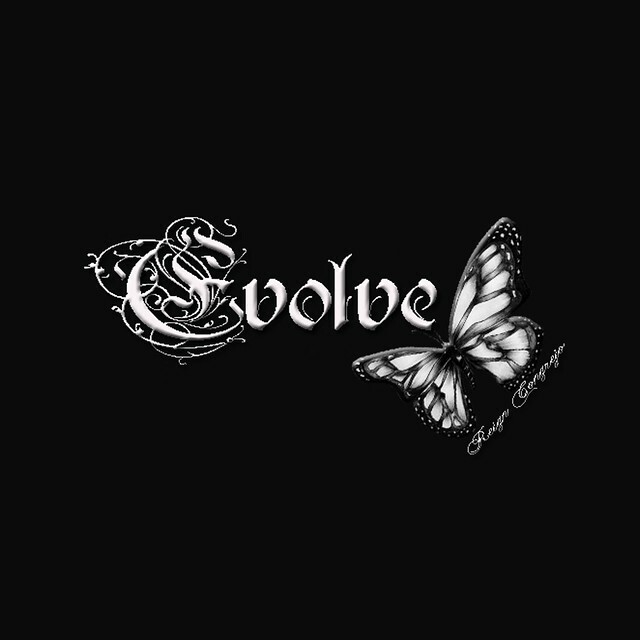 I currently model live for Finesmith Designs and blog for Oglam, Opium Insight, SoloEvane, and Godivas of SL. I am also a script writer for various fashion shows on the grid, which includes the upcoming Men’s Wear Fashion Week 2012. I am sincerely looking forward to growing as a model and person in this competition and thank the judges for choosing me to be a finalist. I hope all the contestants will enjoy themselves throughout the competition and remember that we are all here to celebrate our diversity. I hope the sincerity of my answers shows how committed I am to my goals and reflects who I am. 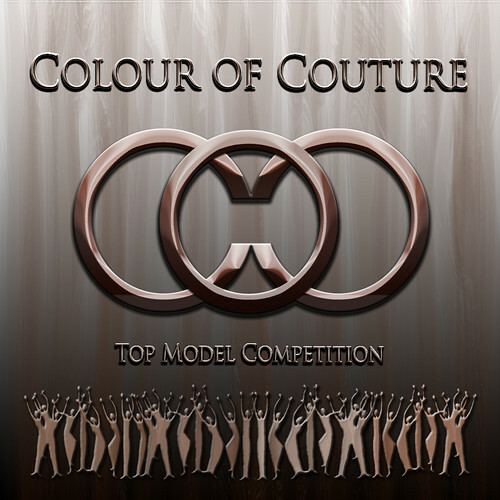 I am attracted to the role of Miss Colour of Couture as a goodwill ambassador who will express the unique beauty possessed by colored women and convey its splendor to the world. I am Japanese, and I am proud of the beauty of my own country, culture and arts. Being Japanese, as well as an Asian, with colored skin, I’d like to appeal the beauty of these things. I think that Miss Colour of Couture needs to express impressively the beauty and charm which is peculiar to colored women, wonderful culture and arts of her country. Her representation can make many people around the world being touched. Such a woman deserves to be Miss CoC. 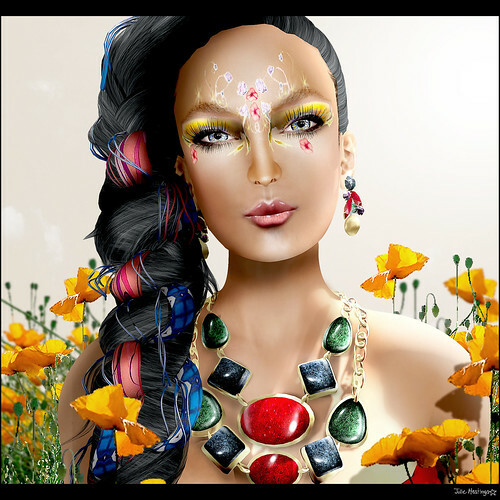 Second life is such a wonderful place for me to be able to communicate with people around the world through the common interest in fashion, and to express myself. In Second life, I can be anybody regardless of what race I am. My appearance varies depend on the mood what I want to feature at that time. However, as a Japanese, often there are times where I feel like expressing the unique beauty of Japan, and appealing its splendor to the world I have created styles in Japanese national costume Kimonos or Asian ethnic dresses, as well as styles in western fashion incorporated with Japanese and Asian tastes. I have also published photos thereof on Flickr or blogs, or taken part in contents. I do these things, not because I think it my role. Rather, because I am proud of being Japanese as well as being a part of Asian, and I love my country. If I was selected as Miss CoC, during my entire tenure of being Miss CoC, I will create styles emphasizing on expressing the beauty and charm of Asian races, culture and arts of Asian countries, deliver those charms in photos through Flickr or blogs, as the same time I will feature fashion items used in those styles actively. I will feature not only fashion, but also as many beautiful locations as I can. Regardless of whether winning or not wining the competition, I would be happy if many people realize the beauty and charm of Japanese women, Asian women and also many other colored women through my task and my representation in the Miss Colour of Couture competition. I strongly hope that this will lead to respect toward more other colored women. )I have acquired standard skills necessary to be a model who is capable of playing an active role in the world stage, through a variety of experiences which include model auditions, fashion shows, e.g., MVW. 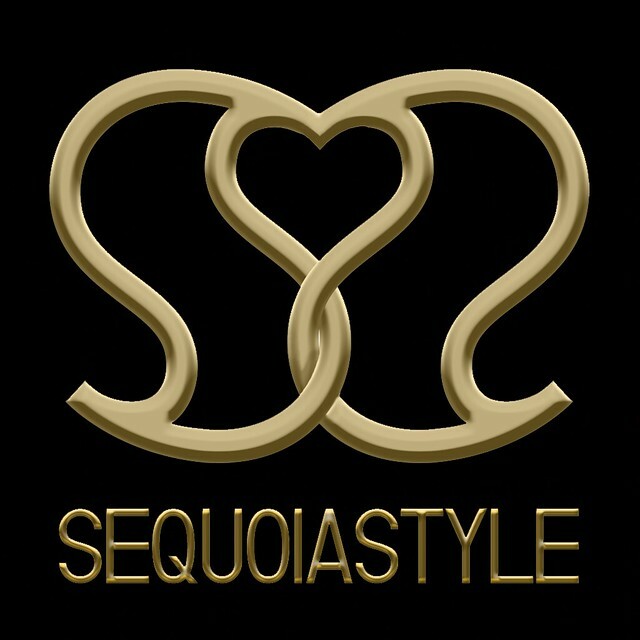 In the future, I will aim at achieving higher level, and work harder to contribute to the development of a brand I love or organization I empathize through promotional activities by means of fashion while assuming responsibility as a face of the fashion brand or organization. Now, I have taken part in Miss contest organized by a brand I love as well as an organization I empathize, as the first step for me to fulfill my desire. 2008 June I joined AGATA Models Agency. 2009 February Applied the class for Japanese at Mimmi Boa Model Academy in Evane Model Agency. I learned from Kay Fairey the skills that enabled me to engage as an international model. Upon graduation, I became a model of Evane Model Agency. 2009 April～ In various fashion shows hosted by the Agata Models Agency, I made appearances as a model even while working as one of their administrative support personnel. Furthermore, as an original member of Agata Models Agency since its foundation, I positively participated in various model and photo contests overseas in order to boost the Agency’s international profile and for me to become an international model. ※The photograph for all competition is taken for myself. Thank you for choosing me as a finalist of Miss CoC. I am honored to be able to compete with splendid other finalists at a so significant competition. I want to enjoy finals competition very much. And I am glad if my work can impress all of you. And I hope that the impression leads to respect to Color women. 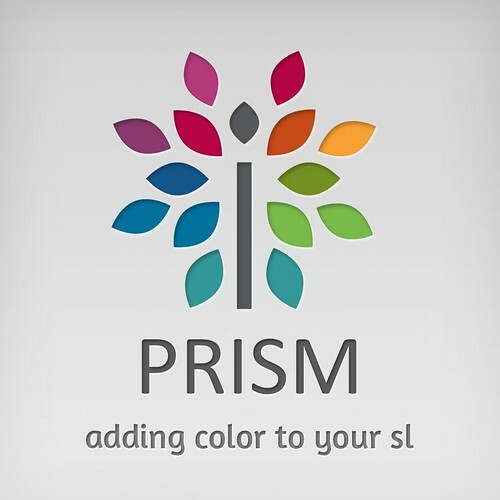 I did enter at the contest because I believe is a great idea and a big opportunity to express the colored side of SL fashion, history and culture of different ethnicities which I ever cared. Creado che una Miss non debba solo essere bellissima ma anche saper comunicare qualcosa forse in questo Concorso più che in ogni altro. Vedo la futura Miss Colour of Couture una donna carismatica ed orgogliosa di indossare tale titolo, una donna con un proprio stile ma soprattutto una donna che sa portare con onore la bandiera del colore che rappresenta e di tutte le donne che rappresenta. Well i think that generally a Miss doesn’t have to be only beautiful but have be able to communicate something through is beauty and style in this contest may be more then any other. I see the future Miss Colour of Couture like a charismatic woman and proud to have that title, a woman with her own style but more than everything a woman who can take with honour the meaning of the color she represent and every ethnicity she will represent. Yes yes I wanna thank you Kay Fairey, Ponchituti Boucher and Rusalka Callisto too that alway are good friends and there to help everyone needs it and they are amazing girls!